Suitable for training and sparring, the Lonsdale vintage gloves offer a combination of the latest, innovative technologies and traditional craftsmanship to help you improve your boxing skills. They benefit from the finest cow hide leather outer shell delivering extra durability and feature M-core moisture control system for temperature regulation and great breathability. There is a tough suede wrist strap for added support and L-core technology resulting in increased cushioning and unmatched shock absorption. 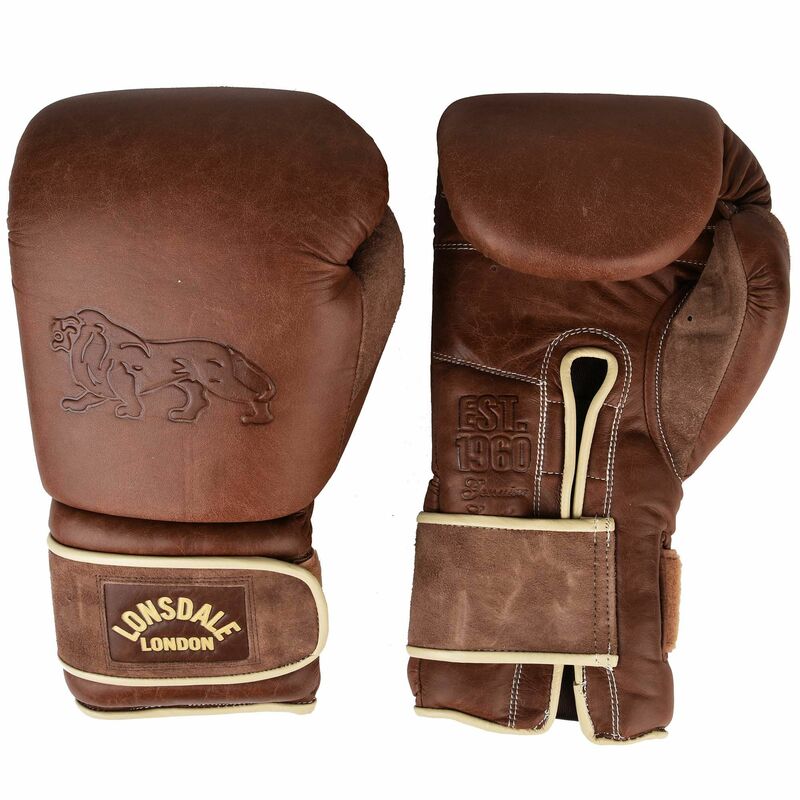 The gloves have an eye-catching “Old School” design to let you look the part at the gym and come in a vintage brown colour. 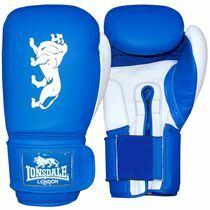 for submitting product information about Lonsdale Vintage Training Gloves We aim to answer all questions within 2-3 days. for submitting product information about Lonsdale Vintage Training Gloves. We aim to answer all questions within 2-3 days. If you provided your name and email address, we will email you as soon as the answer is published. for submitting product review about Lonsdale Vintage Training Gloves.